Greg Chuter is Assistant County Archaeologist for East Sussex and gave a talk in March about recent investigations on Malling Down above Lewes. Here evidence of human activity has been found starting over 6,000 years ago, with intensive occupation and farming activity in the Bronze Age and Roman periods. The most exciting discovery was a mass grave containing a group of men executed in the Saxon period, who may have been captured Viking raiders. This walk, which will take in the location where the skeletons of the captured and executed Vikings were discovered, is planned to take 60-90 minutes. Greg will point out the key archaeological features on the hill during a walk up to the long barrow on the golf course. There are a few steep sections down on the way back, but these can be bypassed. 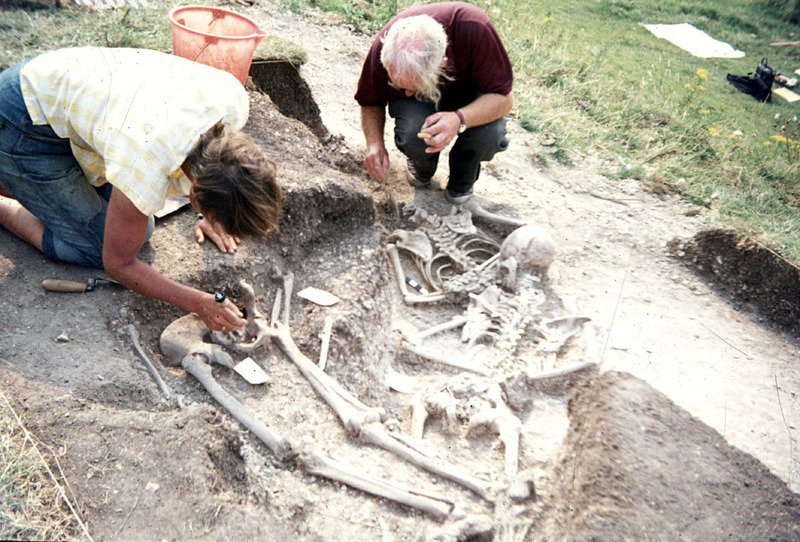 This is a joint event with the Lewes Archaeological Group and the Ringmer History Study Group, who also contributed to the cost of the experimental work that established that the skeletons were not local in origin. Meet at the car park on Mill Road.